With unprecedented access to children within the Gypsy and Traveller community; this three part documentary series explores their world, through their eyes. These children revel in the freedom of a gypsy childhood while facing prejudice and even eviction from an early age. Demonstrating maturity beyond their years, they offer an insight into one of the most marginalised yet resilient communities in the UK. Gypsy Kids: Our Secret World, Series 2 in production (7 x 60') plus Christmas Special Episode (1 x 60'). Gypsy Kids: Our Secret World features the lives of children from the Traveller community. Each offering a window into a bygone age where traditions are strictly upheld. But does the pull of the modern world conflict with their culture and Gypsy identity? Oliver is a horse-loving English Traveller and dreams of one day becoming a farrier. Unfortunately there was an incident at school and Oliver was expelled. However, Oliver demonstrates that he has skills that lay outside of the national curriculum. 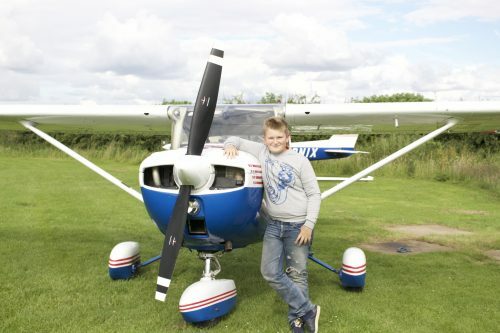 At just 12 years old Oliver is surprisingly confident behind the wheel of a car, effortlessly manoeuvring around the family farm with his 8-year-old cousin in the back. Oliver reveals he would rather be out enjoying time with his horses and learning his trade than be trapped inside a classroom. 13 year old Sylvanna is part English Traveller and dreams of becoming a model, “I am quite different to many travellers. They have got some of the old fashioned ways...they believe in just staying home, helping and clean and the men go out. I believe women are about as equal as men.” Determined to succeed and provide for her family she must first go through the ruthless casting process. When faced with the decision “£10,000 to cut your hair” Sylvanna shows commendable resilience as she proves her Gypsy identity is not for sale. 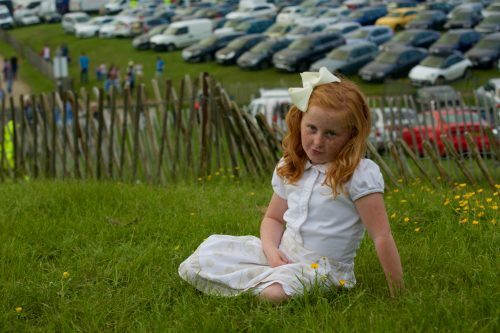 8-year-old Irish Traveller Margaret is the grand-daughter of well-known Traveller, Paddy Doherty. Although doing really well in school she is considering leaving. Can Paddy change her mind or does older sister Roseanne, who left school at 11, offer a more convincing argument? Keeping a clean home and raising children is what you should be learning not wasting your time in class. Gypsy Kids: Our Secret World features the lives of children from the Traveller community. This is their world through their eyes. 12 year old Romany Gypsy Ben has been bullied for his entire school life. As soon as he reveals to friends 'is it Ok that I'm a Traveller?' He hears the all to familiar stereotypes 'no we can't be friends, you'll rob me blind'. Unfortunately for Ben the bullying has often resulted in violence and we join Ben as he is collected from his 9th school by Mum Nathalie. This incident leaves Ben with a nasty bump on his head and his spirits crushed. 'I'd rather go to school as Ben the 12 year old boy, not Ben the Gypsy'. Not to be held back, Ben has dreams of becoming a pilot. He funds his £150 an hour lessons himself by selling eggs to the local cafe. Every 10 weeks Ben can afford a pilots lesson. But will he manage to obtain the qualifications to become a pilot with so many interruptions to his education? 4 year old English Traveller Rudy is about to watch his Dad, professional cage fighter and 'Gypsy super hero' Tony, in the cage for the very first time. This is a violent sport, but Tony believes Rudy should see it, especially as mum Danielle 'mothers him too much'. Fighting is all Tony knows; 'Our world is different, it's a hard hard road'. But he wants Rudy to stay in school and have the opportunities that he didn't. 9 year old Irish Traveller Alivia and best friend Alicia are facing eviction for the second time this year. Previously evicted from a council run site due to health and safety concerns, they are ironically facing health and safety issues again. They have now been living on a car park without running water or toilets for 3 months. We witness their next devastating eviction, and this time these best friends are separated in order to find somewhere to stay....until they are evicted again. 12 year old Royston is an Romany Gypsy. When he’s not working with his Dad laying patios he is in the gym training. Royston is a multi-title boxing champion and on course to turn pro. He wants to follow in the footsteps of Traveller heroes Tyson Fury and Billy Joe Saunders. Royston has been taught to stand up for himself and deal with the bullies. His first fight was with a bully at school and it turns out he can pack a punch. Like Royston, English traveller twins Johnny and Abraham have had trouble with bullies over their Traveller background. They have resorted to fighting back and recently that involved using a rounders bat! But this could result in them being excluded. So professional cage fighting champion, Uncle Tony is taking them under his wing in a training session. He has some words of advice about how to handle the bullies and stay out of trouble. Annie is a 10 year old Traveller. She has recently moved from the site she was born on into a house with her Mum. She misses her Traveller friends and is finding it hard to fit in with the ‘Gorga Kids’ (non - Travellers) She thinks they are very different “They can read and I cant, they can write and I can’t so yeah really different”. Her Mum Sueanne has ensured that Annie has everything she could possibly want. With an impressive collection of Designer handbags and regular trips to the beauty salon Annie always ensures she looks her best so that no one will talk about her behind her back.